Cute keepsake for a new Mommy. She will love getting this cute gift from her daughter or son - poem is written in a kid's typeface. 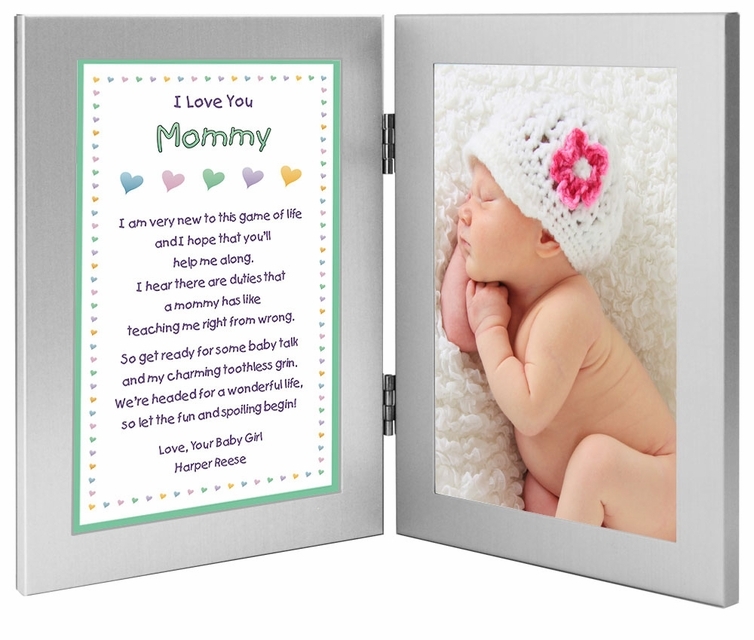 Makes a wonderful birthday, Mother's Day or new mom gift for Mommy. 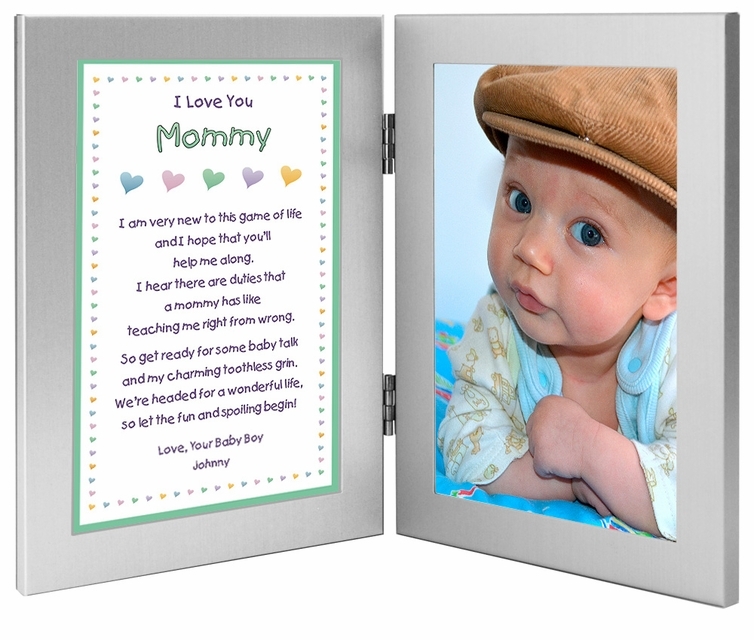 This Poetry Gift is appropriate as a birthday or Mother's Day gift or for when a child is first born or as a baby shower gift. 1. Phrase Above Name - Examples: I Love You; We Love You; etc. 2. Name(s) - Examples: Mommy; Momma; Mom; etc. 4. Closing Phrase & Your Name(s) as seen after poem - Examples: Love, Jacob; We Love You, Scarlet and Sara; etc. teaching me right from wrong. and my charming toothless grin. so let the fun and spoiling begin! teaching us right from wrong. and our charming toothless grin. Gift is exactly like it appears. Excellent gift idea for a soon to be mommy. My wife loved it. She put in her favorite picture of our daughter. Put our son's photo in the frame and couldn't wait to give it to my wife so I gave it to her early. She loved it.